Hi. I've been a reader of this forum for a very long time however this is my first post. BTW the best forum ever. Got my new S63 delivered just before Xmas. 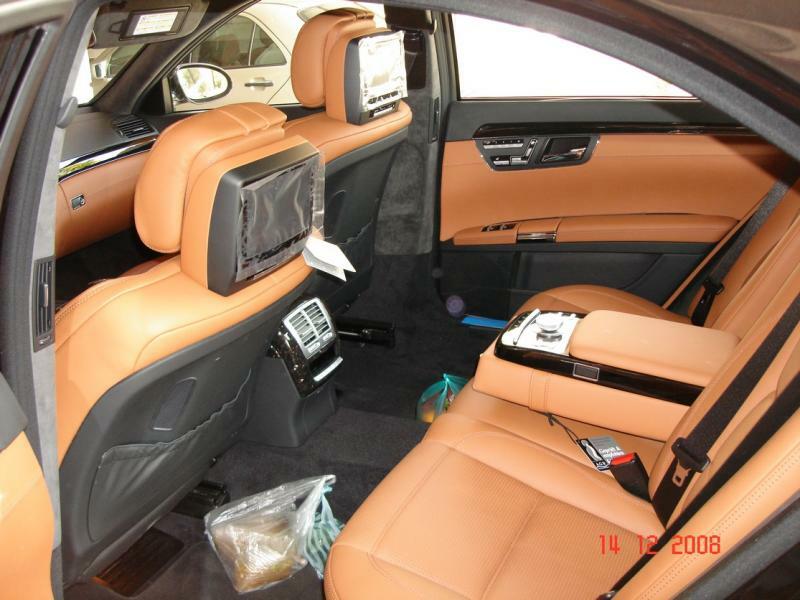 Anyway I've been search the net for very long time for Designo S63 AMG with Amagnac Leather and Designo Star Galaxy Stone but I've never found one. 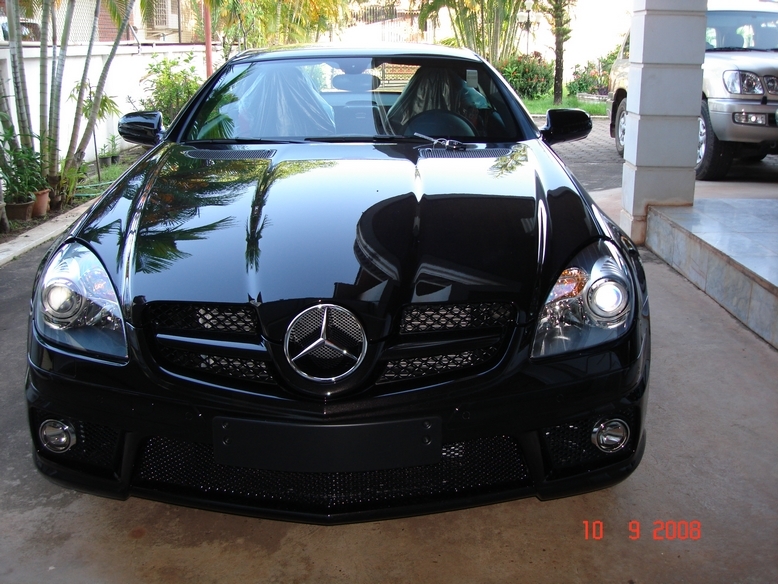 So I ordered this car without knowing how it will look like but it turned out great. So I just wanna post some photos for those who wanna go down Designo path like me. 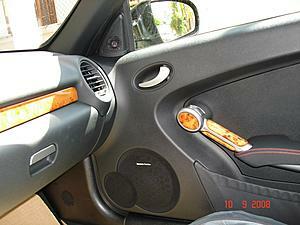 BTW got all the options except Distronic and Sat Nav which I don't need them in Laos. Congrats!!! I love the designo program and you picked one of my favorite interiors. 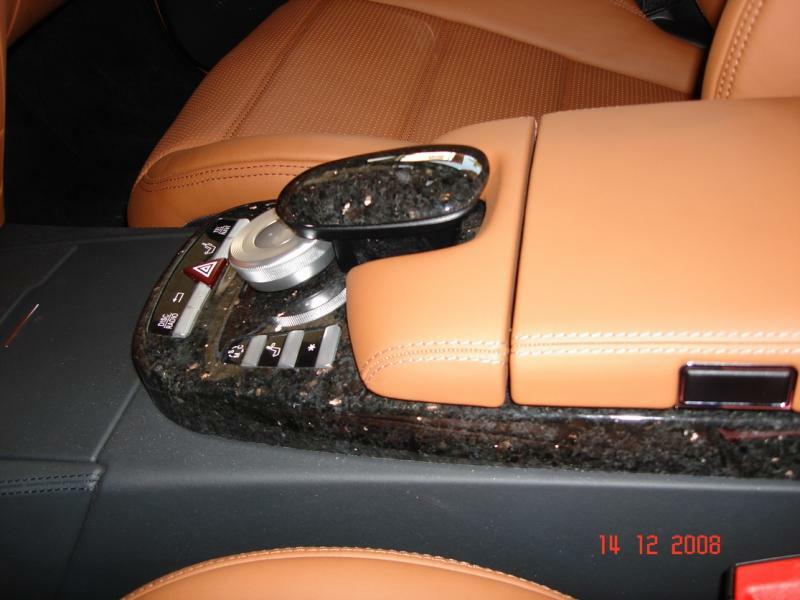 The granite stone looks amazing too. What exterior color? Post as many pics you want! 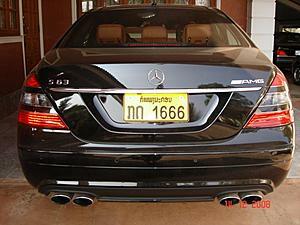 Nice S63. In Laos too of all places. Didn't know you can customize the interior that much over there. 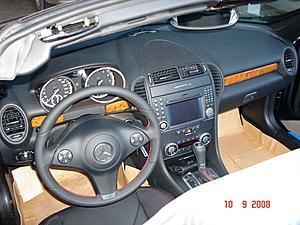 Here in Indonesia, you get 2 choices, black interior with S300 or the amagnac interior (which I have) for the S350. 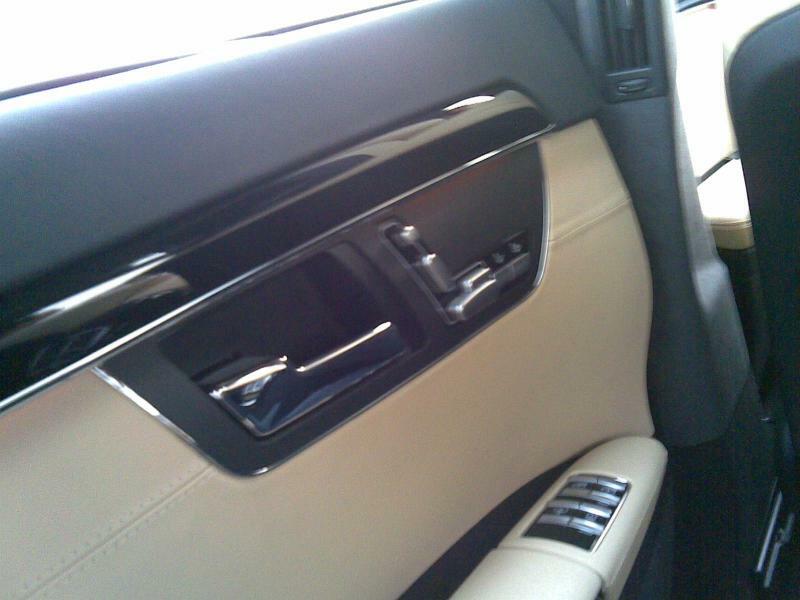 Because the S-class is assembled locally, we get really severely limited in choices. We can't get distronic, parking cameras, night vision, illumination kit either. 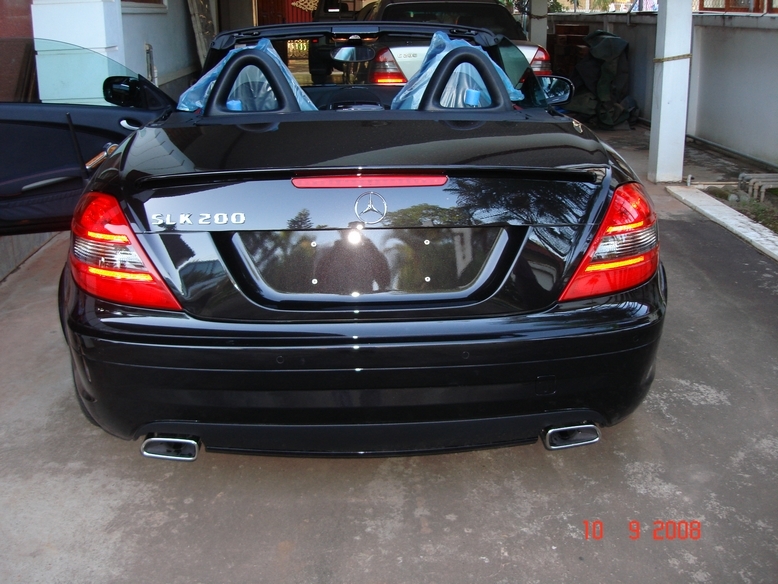 If you go up to S500, then it's a different story. Since it's ordered directly from Germany then you can get all the options you can think of including everything you have. Either way, congratulations on such a beautiful ride. How are the streets of Laos? 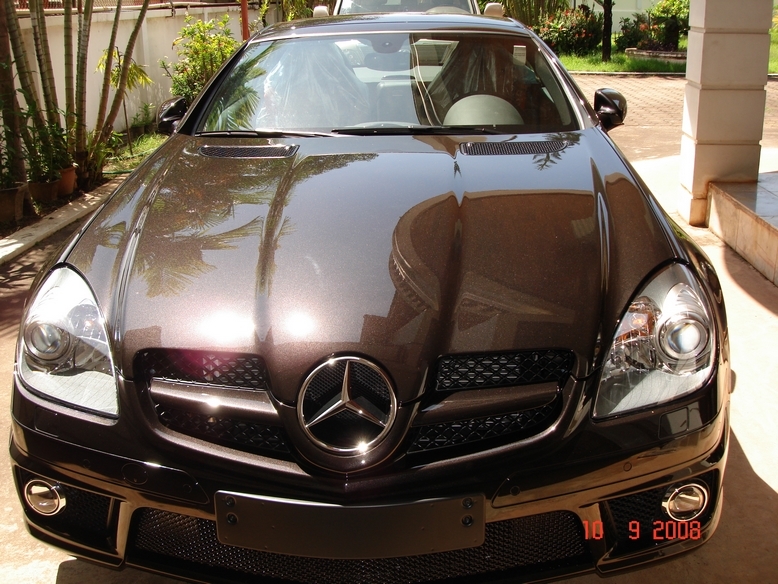 I ordered my car from Germany therefore I could customized the car to my preference but it took AMG around 3 months to confirm my order. The streets here are very good now. A lot of Malaysian bring their Lamborghini and Ferrari here. Very classy arrangement of color. Good taste. Well done! Hi, welcome to the forum! Nice to see somewhere from the region, especially Laos of all places! How are the prices of cars there? Are they taxed heavily? What's the story about Malaysians bringing their exotics to Laos? 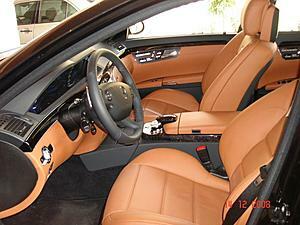 Nice and always love the designo colors! Post more pics of ur other rides...I see W140 in your stable too! Hi. The prices of cars here are relatively cheap comparing to other countries in the region ie. Vietnam and Thailand. The S63 costs 150,000 EURO including tax. I cannot remember how much they taxed the car but certainly it's not the official tax rate. I'm really not sure about the Malaysians bringing their exotic cars to Laos. They usually come in a group of 20 cars and stay around 1 week and leave. There is a wealthy Malaysian who opens night club here so maybe they just come for a holiday. 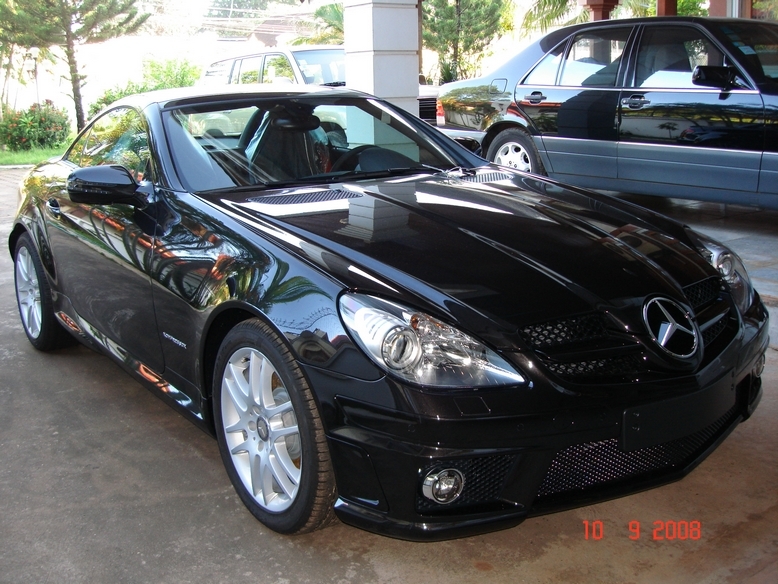 But I know that they bought a lot of exotic cars from Laos and brought it back to Malaysia. 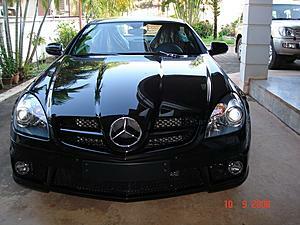 My neighbor imports cars like Ferrari, Lamborghini, BMW M5 & M6 and McLaren SLR then sold them to Malaysians. 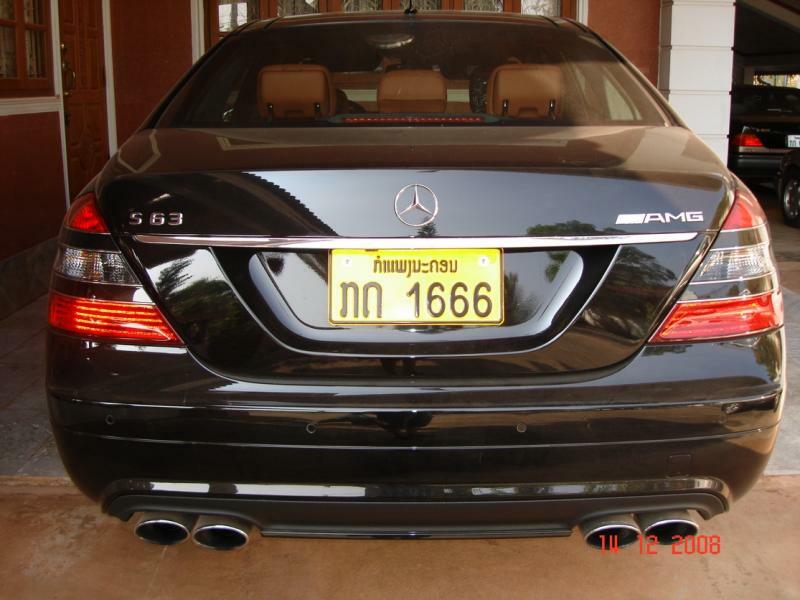 They told me that it's cheaper to buy cars from Laos and import them to Malaysian. WOW, congrats to your cars. So you have two S63 AMGs and an SLK? Beautiful! What part of Vietnam? The only other higher end S-Class I've ever seen was a W220 S600. The rest are all S500s both W220 and W221. 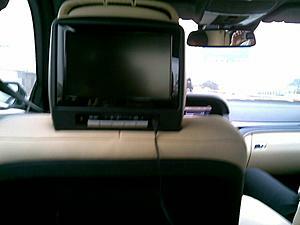 Not seen the rear TV monitors before! 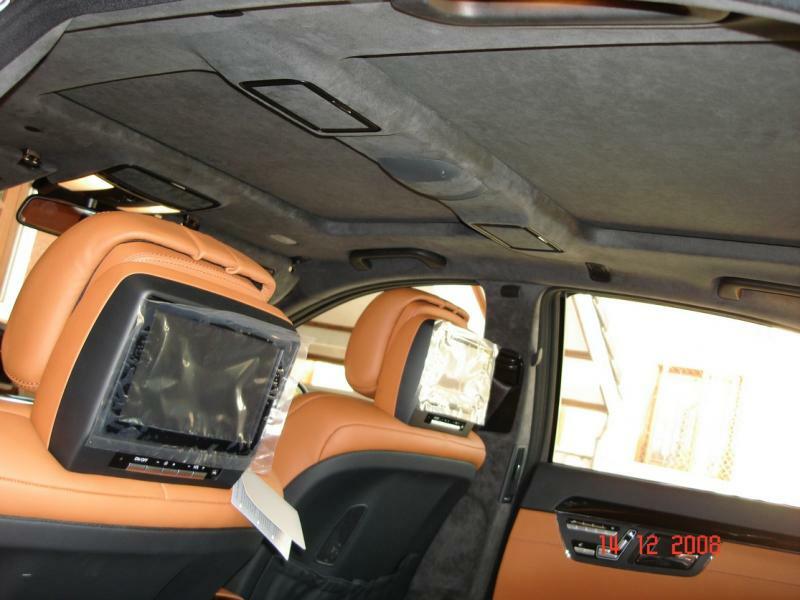 They certainly appear to be OEM but MB have done a poor job with them IMO. 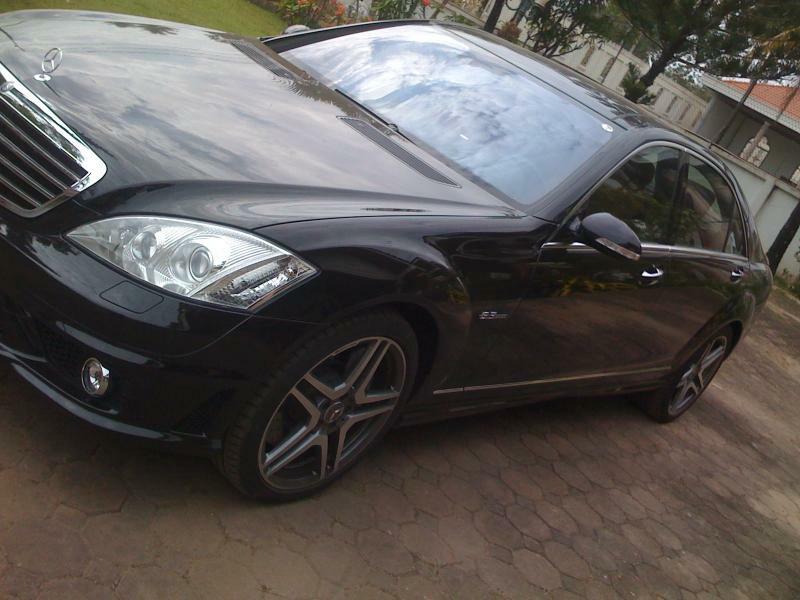 Other than that great vehicle, nice designo choice too. I don't like many of the designo colour options available. You did well! This is 2009, who watches DVD's anymore? We have HULU and iTunes, and MPEG4 video..
Last edited by irieblue; 03-08-2009 at 12:47 AM. Which part of Vietnam did you go? 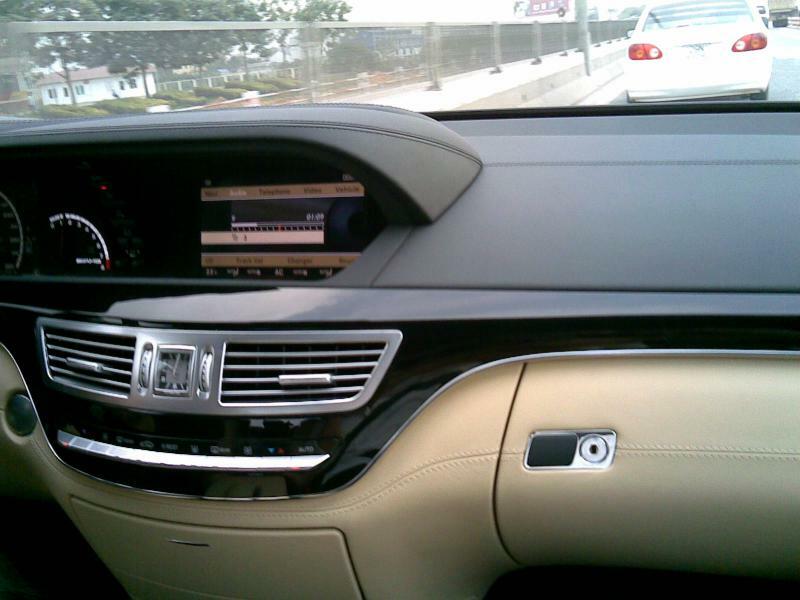 In cities like Hanoi, Saigon and Haiphong, S63s are not uncommon. 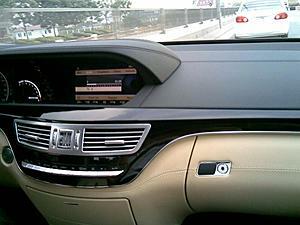 There are also a few S65s and S600s around, of the V221 variant. My car is in Hanoi. 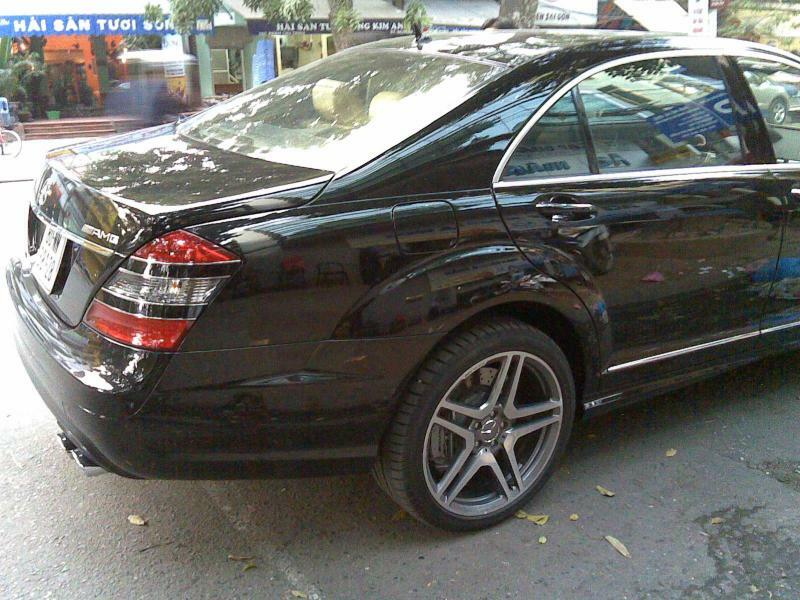 There are a lot of people that I know that own the latest S65 and S63 in Vietnam as well. I'm usually around Saigon. Last time I went was in 2007. My uncles also told me somebody had taken delivery of a brand new Maybach around the time when I arrived. I'll be looking out for that one when I go back soon. 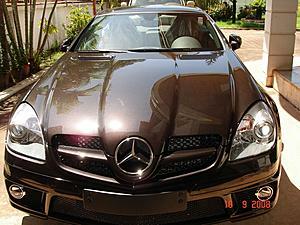 Great car, one of the best in the Business Class. Why didn´t you buy the 65? ?